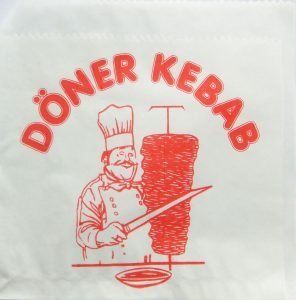 The döner kebab is a ubiquitous street food and a staple for many Berliners and BCB students alike. Despite its popularity, this functional fast food has ambiguous origins and is claimed by multiple creators. Follow Claire August and Hana Bargheer as they trace the history and reception of this food of legends, checking in with BCB students Ido Nahari, Ibrahim Bozdemir, and others to find out more about the dish.